Fall brings a flurry of homeowners and landscape companies adding mulch to trees and shrubs, perennial borders, annual flower beds, and vegetable gardens. At the same time, leaves are bagged or sucked up to be transported to some unknown end. Spring brings more mulching. Mulch is any organic or non-organic material you apply on the soil surface to enhance plants’ growing environment. Soil amendments differ from mulch because you dig or till them into the soil. Living or green mulches: Low-growing carpet-like plants underneath taller plants. Pine or grain straw: Widely used in low traffic areas. Grain straw is used in transitional and vegetable areas. Grass clippings and leaves: Volume and texture varies with shredding. Newspaper and cardboard: Heavy layers block weed growth, but also reduce the penetration of moisture and air and restrict soil life, such as earthworms. Compost: Adds nutrients and organic matter in small amounts. Use with other organic materials. Bark mulches: The most common commercial mulches are bagged or delivered in bulk. Quality of bark mulches can be inconsistent. Sawdust: Not recommended because it can create a barrier to water penetration. 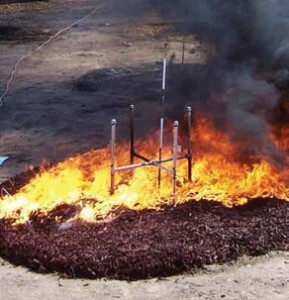 Rubber mulches: Last longer than organic mulches, but may be toxic to the environment. 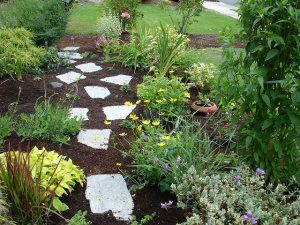 Gravel and crushed rock: Often used as a design feature or for walkways, but may create too warm an environment for plants and can be difficult to weed. Solid plastic sheeting: Specialty uses in vegetable gardens, but not recommended for landscape beds because water penetration is an issue. Most are not biodegradable. Other landscape fabrics: Woven fabrics can allow water to pass through, but also can be problematic over the long term. Saves water because mulch-covered soil stays moist longer and needs less irrigation. Controls weeds since fewer weeds germinate in covered soil. Adds organic matter and nutrients to the soil in small quantities. Reduces water splatter that carries soil-borne diseases. Reduces soil compaction from rain. Helps keep mowers and weed-cutters away from the trunks of trees. There is a downside . 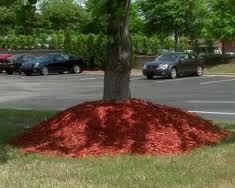 . .
Mulches deteriorate over time, are washed away in heavy rainfall, and are scattered by foot or vehicle traffic. Use what you have: grass clippings, wood chips, leaves—compost or grind before application for great results. Arborist wood chips from tree work are often available for free. Check the origins of other mulch materials. Some may be dyed or contain contaminated wood. Look for local forest products. Apply enough, but not too much! Mulching with 3 to 4 inches of most materials is sufficient. Use at least 6 inches of wood chips for weed suppression. 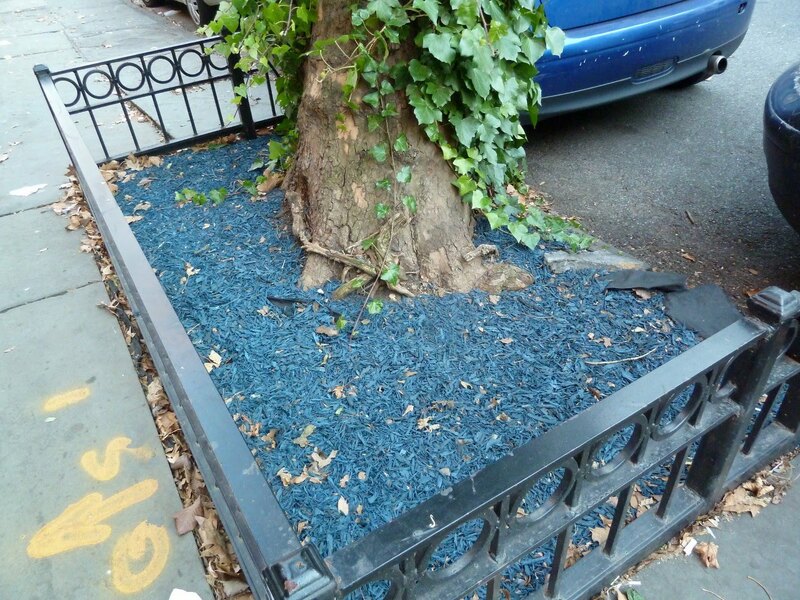 Keep mulch away from tree trunks and plant stems. “Volcano” mulch can cause damage to trunks or stems and cause improper root growth. 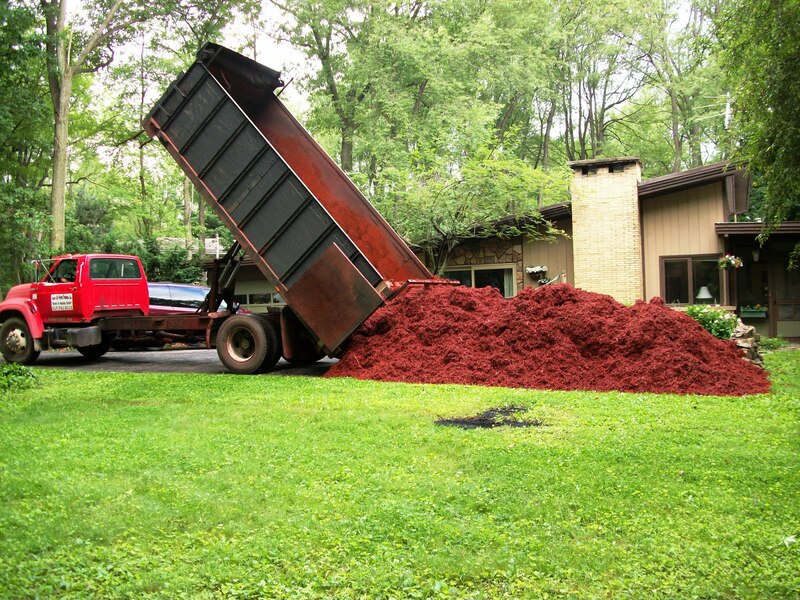 Enhance your landscape with proper mulching. You can create a richer and more efficient landscape using mulches! 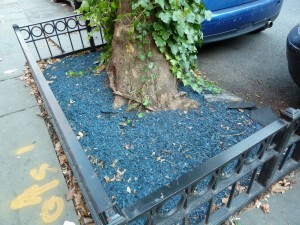 Should I Use Rubber Mulch? This past week’s garden tasks have included the prep and thought of getting mulch spread. Lots of mulch. We have a pretty good size property and if the whole landscape were to get mulched at one time, it would take 25-30 yds of mulch. My back just isn’t up to the task! The most I have spread in any one purchase has been 10 yards…usually smaller loads, a little at a time. If I were smart, maybe I should consider using more permanent mulch….once it’s down, maybe I’d have the job done for about 10 years! By that time, I’d be too old to worry about mulch. It seems that most all of the organic forms of mulch are only going to last a couple of years without having to be freshened it up. So, I’ve done a little research on more permanent mulch…RUBBER MULCH. Rubber mulch comes up on every internet search for permanence…Let me tell you a little about rubber mulches. They are all made of scrapped car tires. Of course, all of the positive things about rubber mulch are published by the folks that are trying to sell me on their product. research (primarily done by Washington State University) shows that the chemicals that synthetic rubber are made of are toxic. Aluminum, cadmium, chromium, copper, iron, magnesium, manganese, molybdenum, selenium, sulfur, and zinc have all been identified in laboratory and field leachates. 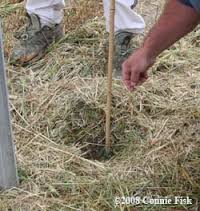 The chemicals leach into the ground, thus, the groundwater, etc., plus will actually kill the plantings. More info on this is available from the following article: http://www.theinformedgardener.com, written by Linda Chalker-Scott, Ph.D., Extension Horticulturist and Associate Professor, Puyallup Research and Extension Center, Washington State University. studies have shown that mulch made from wood chips, have done a better job of weed control than rubber mulch. Also, sawdust was found to be a better mulch for Christmas tree production in terms of weed control, microbial biomass, and soil chemistry. isn’t really permanent…oxidation actually begins to turn them cloudy, white. The manufacturers say to buy product with UV protection….MORE CHEMICALS, duh? Should I use rubber mulch? I think I’ll go the organic route. What about you?